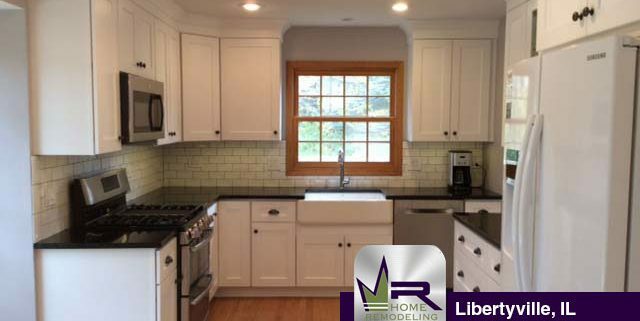 The owners of this lovely home wanted to remodel their kitchen while changing the layout of their appliances and cabinetry. 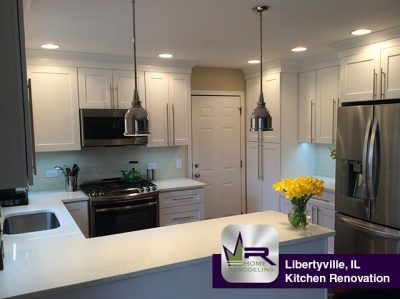 The main goal was a conversion from a traditional kitchen with dark cabinetry and light appliances to a more modern space with lighter cabinetry and darker appliances and countertops. This lovely property was ready to have the kitchen upgraded in a major way. The preexisting space was cluttered and very outdated and the homeowners were not getting as much use out of their kitchen as they could have. 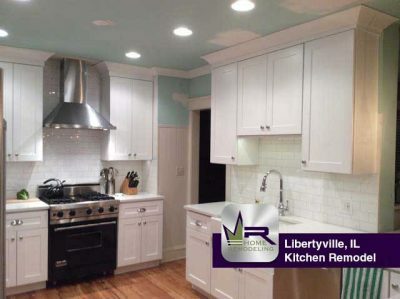 Regency removed all cabinetry, countertops, backsplash, and more. The kitchen of this home was in need of a modern upgrade. The kitchen was functional in its design; however, the residents were craving a new look that would be accompanied by modern upgrades.